The 1932 Winnipeg Monarchs were coached by Harry Neil and Fred (Steamer) Maxwell. Neil had experienced the Memorial Cup playing for the Winnipeg Falcons Jrs, a team that defeated the Stratford Midgets to win the 1921 Memorial Cup. 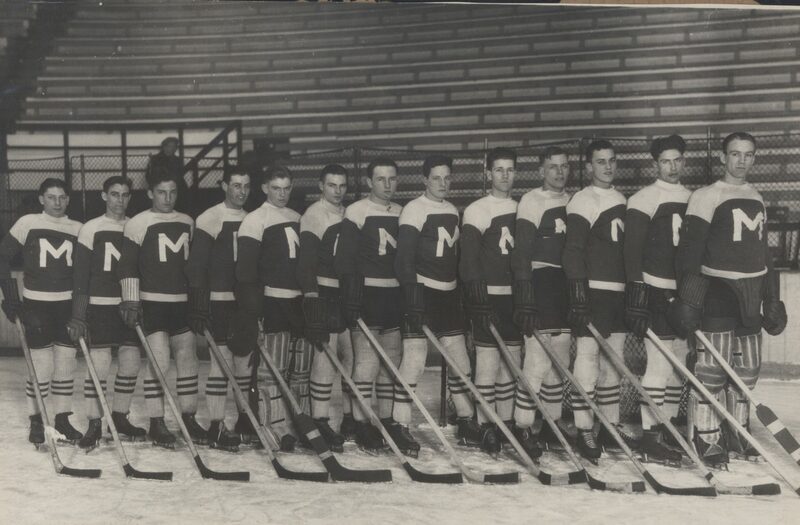 Four of Neil's Monarchs, Norm Yellowlees, George Brown, Archie Creighton, and Art Rice-Jones had played with the 1931 Memorial Cup-winning Elmwood Millionaires. Taking on Saskatoon Wesley's for the Western Abbot Cup play-off final in a two-game total point series, the Monarchs were handed their first loss of the season 1-0 in game one before 4,000 fans in Saskatoon. The Monarchs rebounded in game two with a 3-1 victory and 3-2 total win. The victory gave the Monarchs the right to face the Sudbury Cub Wolves for the 1932 Memorial cup. Played in Winnipeg at Shea's Amphitheatre, the Monarchs were favoured to take the best-of-three series. Not disappointing the home crowd, the Monarchs scored 3 goals in the 2nd period to take game one 4-3. In Game two, a 2-1 overtime victory by the Wolves would tie the series. A packed house of 6,000 watched as the Wolves goaltending shut the door on the Monarchs in Game three. The 1-0 loss gave the Memorial Cup to the Sudbury Cub Wolves.